Fifteen years ago, before Cleveland Cavaliers head coach Tyronn Lue found himself on the wrong end of a 2-0 NBA Finals lead, he was also in a rather familiar air. In Game 1 of the 2001 NBA Finals, Philadelphia 76ers spitfire Allen Iverson was torching the Shaquille O'Neal and Kobe Bryant-led Los Angeles Lakers with 38 points during the first two and a half quarters. Enter Lue, who doused cold water on a scorching Iverson, limiting that season's MVP to a mere three points the rest of regulation. The Sixers went on to win the game and prevented the Lakers from achieving a rare postseason sweep, bringing Lue's effort to naught. What's worse? 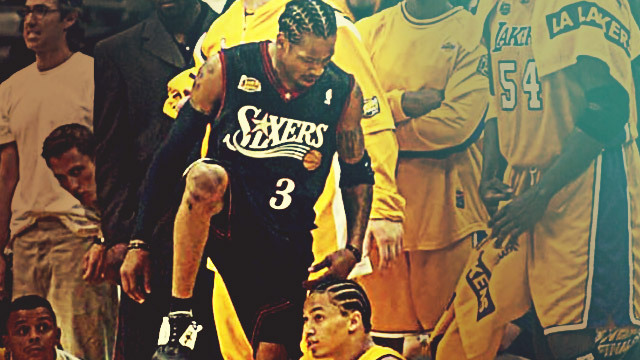 Despite coming close to shutting down Iverson and coming home a champion, he will forever be remembered as the poor dude AI stepped over after sealing the deal. Funny how much damage an incidental display of bravado can do to a reputation, especially in a sport such as basketball where the weak-willed and the weak-hearted cannot survive. In the spirit of Iverson's "skip to my Lue" moment, we compiled the most arrogant yet entertaining highlights in league history. Most of which have been included because of the amusement brought about by ensuing theatrics. After shocking the No. 1-seeded Dallas Mavericks, Davis punctuated the Warriors' Cinderella run that year with this statement slam over the 6-foot-9 Utah Jazz forward. Before there was Drake, there was Spike Lee the superfan. Miller was one of Lee's prominent tormentors, and it's not hard to see why. Deke learned the hard way why nobody in their right mind would try dare the greatest of all time. The Knickerbocker's bad luck in the hands of the Chicago Bulls didn't end in being deprived of a ring; he was also victim of such displays of dominance. James's personal disdain for Terry made his thrashing of the latter not too surprising. Worth the technical. Plus points to this particular Griffin poster—having so many to choose from—for the opposing player's (Andrew Bynum) unbridled reaction. 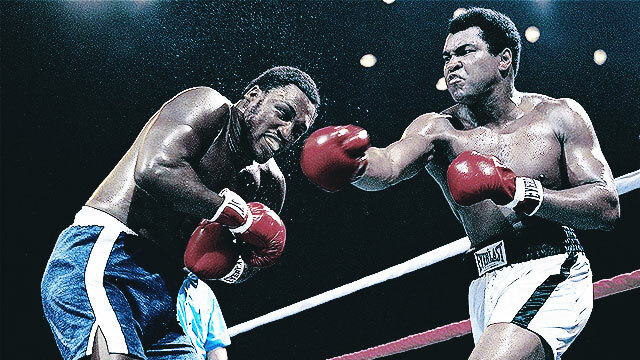 Lister was literally taken out of the picture as the force of rampaging Kemp—speed and power personified—proved too much to handle. Rumor has it that Knight's self-confidence hasn't been found until now. Even MJ himself couldn't believe that he just broke the record for most points in the first half of a playoff game, breaking out the gesture of low-key gloating after hitting his sixth three-pointer.